Ok so I know I’m on holiday but I don’t know how they work yet so until then I have something to share. I was looking through the GTA:V screenshots on the official site and noticed something that got the nerdy Paul excited. We know the screens are from dev. hardware and probably taken whilst they are building and tweaking but you would assume they would have at least run the game first, instead it seems they just took a screenshot mid way through editing. In the screen below you can see the axis marker thingy that is used in most 3D modeling and editing software. Take a look, I’ve highlighted as best I can in Paint. Now this isn’t a surprise but I just found it interesting that Rockstar would have left it in view on a screenshot, especially a late shot like this, but they are only human. In other news I had a little bit of time after I posted yesterday and was looking over my pre-order and noticed how much of the ‘’Exclusive Blueprint Map’’ we had in that image to show the special editions. 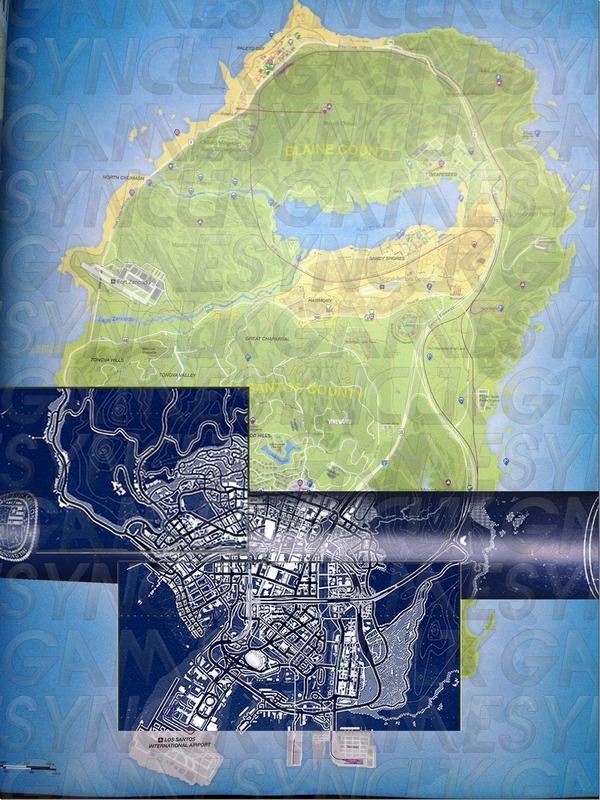 So I decided to take the Los Santos map that leaked a few days ago and add the blueprints. Now I’m going to post the map below so if you’ve made it this far without seeing the map I suggest you stop scrolling now, you don’t want to spoil it this close and your not missing anything except a little bit of me talking about what I think of the map. If you have seen it already though go ahead and take a look. As you can probably see the map is pretty big and they did already give us a lot of the map way back when they announced the special edition but like a jigsaw without the box, none of us knew how to put them together. So the map, I don’t know about you but to me on first seeing it the map looked… well kind of on the small side, but after seeing (the original) and looking at the golf club then re-watching the trailers to see how big it looks in game the map suddenly looks huge again. Until we get our hands on the game we don’t really have an accurate sense of scale, even if the scale was complete in the corner of the map, it means nothing till you see it. How many of you know how far a mile looks in Need For Speed or Gran Turismo? You just watch the number fall without realizing they apply to the scale so until its in our hands we won’t know how much was hype and how much is fact but from the looks of it and re-watching trailers it’s pretty darn big!! Speaking of trailers, if you re-watch the first trailer knowing what we know now Franklin makes a small cameo as the guy lowering the roof at a crossroads and driving the same red convertible from the cops later on in the trailer, I still can’t find Trevor but maybe he is flying the crop duster, who knows? That’s all I have for you today so if you know who’s flying the crop duster in the first trailer, know just how big the GTA:V map is let us know. 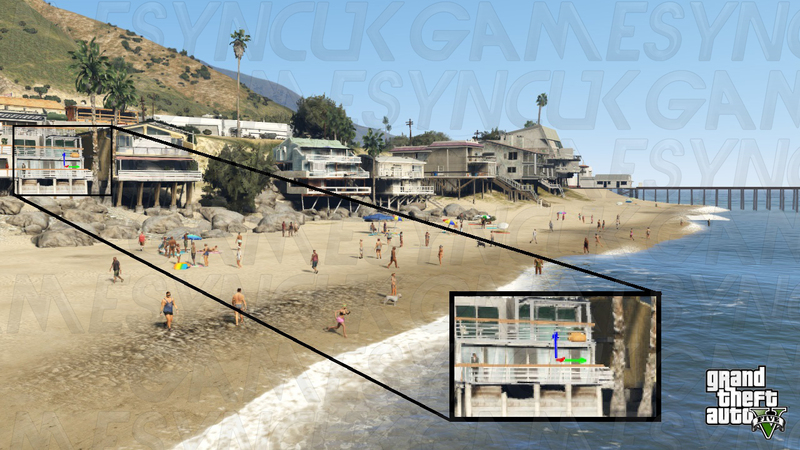 Also what are you looking forward to most about GTA:V after seeing the map? What will be your first move in Los Santos? Let us know in the comments below, by tweeting us @GameSyncUK or on Facebook. ← News Not That Related To Games!